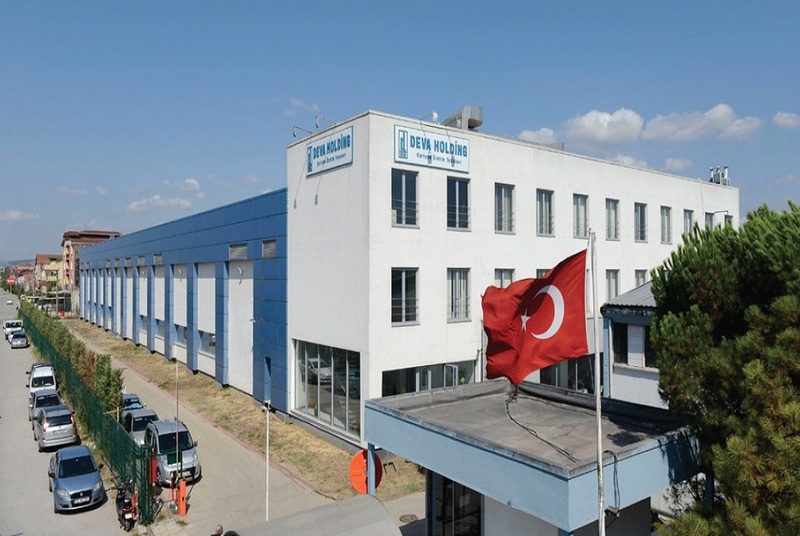 DEVA Holding Kartepe Manufacturing Facilities, located on İzmit - Ankara highway, in Kocaeli Kartepe district, founded on an area of 32,000 m2, with a closed area of 16,500 m2, comprise of state-of-the-art buildings where sterile liquid drugs, empty medical ampoules, and colognes are manufactured. Sterile liquid ampoules for injection, sterile liquid vials for injection, sterile liquid lyophilized vials for injection, and sterile liquid eye drops in PE bottles, sterile liquid diluent vials and vials containing sterile inhalation powder for nebulization by BFS (blow-fill-seal) technology can be manufactured in Kartepe sterile liquid medicine manufacturing facilities. 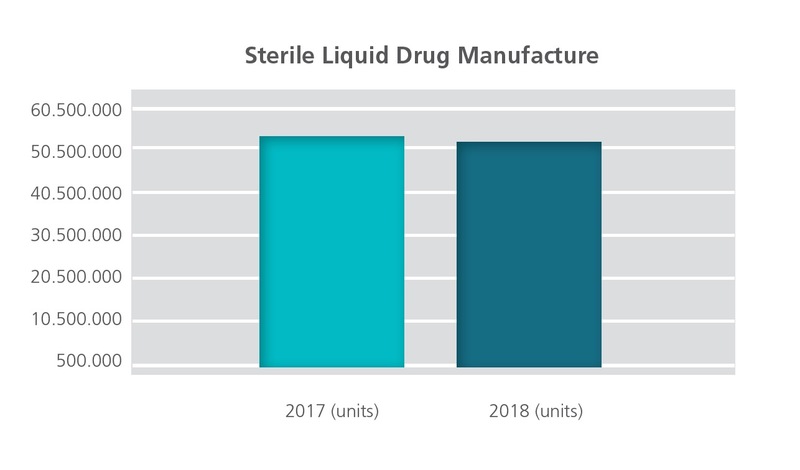 In our facilities, in which 52.517,131 units of sterile liquid medicines were manufactured in 2017, a total of 51.841,601 units were manufactured in 2018. 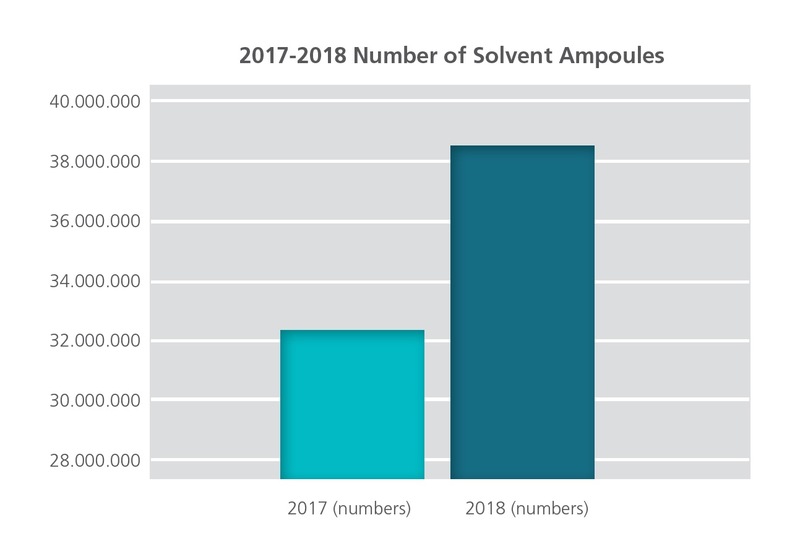 In our facility, in which a total of 38,18 million units of ampoules and 32,22 million solvent ampoules were manufactured in 2017, a total of 35,65 million units of ampoules and 38,55 million solvent ampoules were manufactured in 2018. 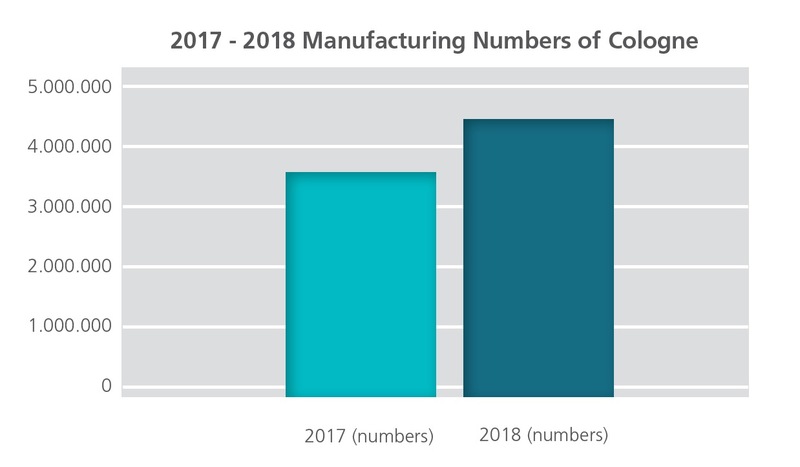 The total number of single ampoules we manufactured in 2018 is 168 million. On our production line for sterile liquid vials for injection and sterile liquid lyophilized vials for injection, on which a total of 12 million units of vials were manufactured in 2017, 12.13 million units of vials were manufactured in 2018. 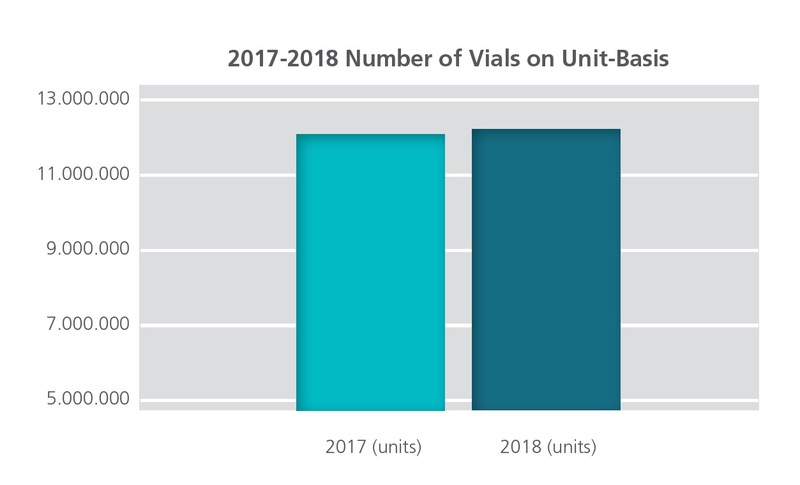 Vial manufacture increased by approximately 1% in 2018, compared with 2017. 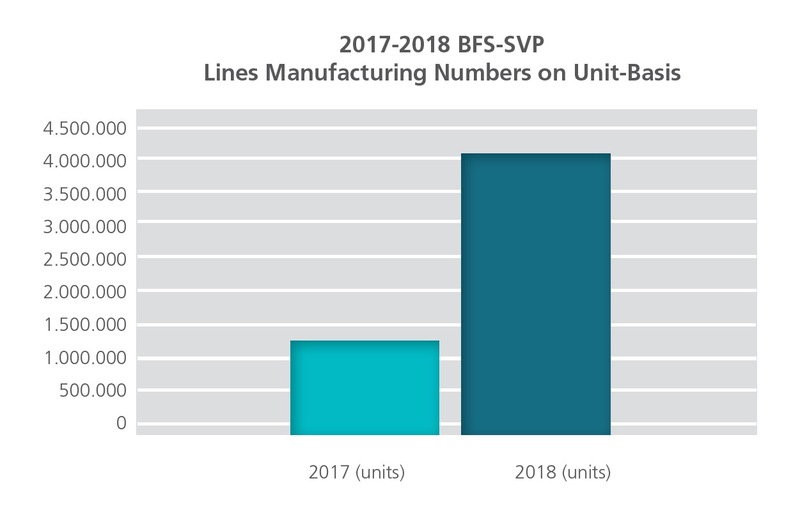 On the BFS-SVP production line on which a total of 1,33 million units of production was achieved in 2017, 4,05 million units in total were produced in 2018, meaning that a very significant production increase was achieved compared with 2018. Furthermore, our facility, which was approved by the Ministry of Health, Ministry of Food, Agriculture and Livestock, and German Ministry of Health (for BFS-SVP production line) and by US FDA (by United States Food and Drug Administration only for a sterile liquid vial and sterile liquid lyophilized vial production line) and Kenyan (for our ampoule line) and Southern African Authorities (for our sterile liquid vial production line) was also inspected during 2018 by the Ministry of Health, German Ministry of Health and the Ivory Coast health authorities, and successfully passed these inspections. Our empty medical ampoule manufacturing unit meets a substantial part of the market’s need as one of the three leading medical ampoule manufacturing companies in our country. Our facilities, which holds ISO 9001:2008 certificate, is audited by Thuringen on a periodical basis. 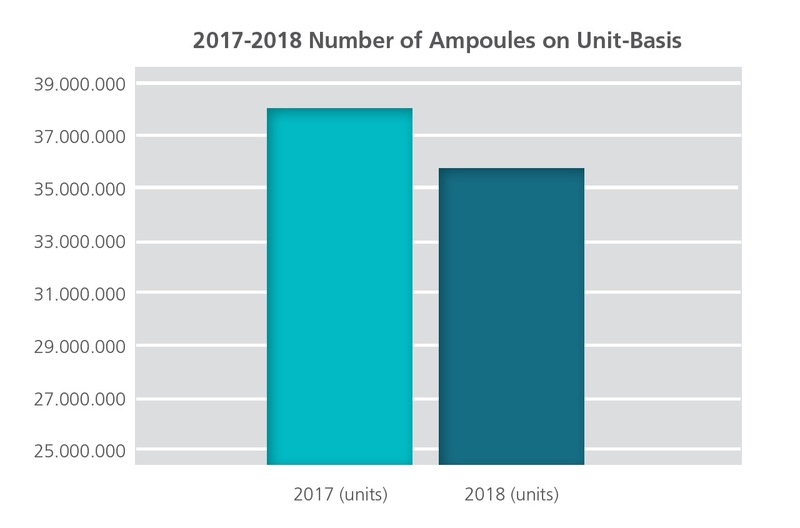 The number of empty ampoules we manufactured was 235,1 million in 2017, and 188,3 million in 2018. In the unit where Boğaziçi Colognes, one of the bestselling brands in Turkey, are manufactured, products appealing to different sections of society such as 80º lemon cologne and lavender are being produced. Our production numbers for colognes was 3,6 million in 2017 and 4,5 million in 2017. In Kartepe manufacturing facility, rate of capacity utilization was 82%. The total human and veterinary products manufactured in our manufacturing facilities on an unit basis was 168.3 million units in 2015, 176.8 million units in 2016, 184.7 million units in 2017, and 197.7 million units in 2018. And the total manufacturing value (medicines and other) was realized as 325.8 million TL in 2015, 359.6 million TL in 2016, 401.1 million TL in 2017, and 541.4 million TL in 2018.